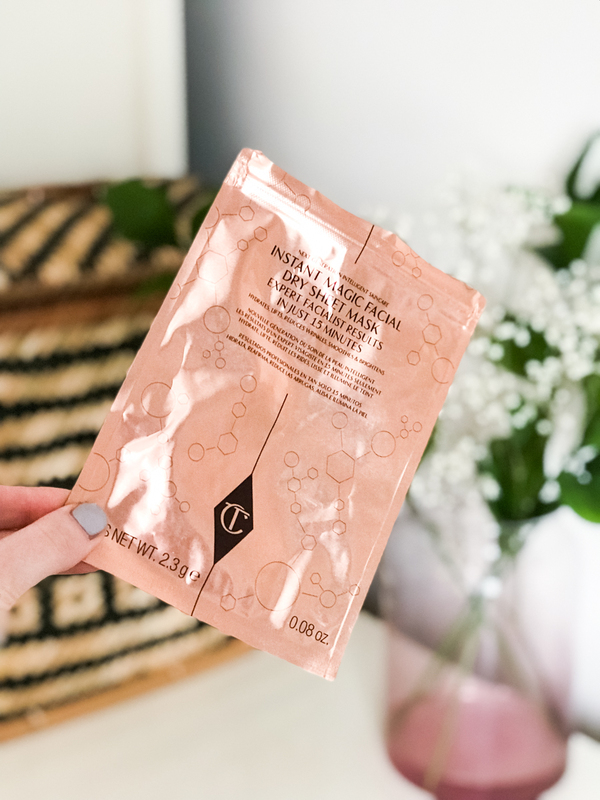 Last week I had the facial to end all facials at Charlotte Tilbury in John Lewis and part of my treatment included the new Instant Dry Magical Sheet Mask that everyone has been raving about. As a self proclaimed connoisseur of the sheet mask, I have to say that it’s a bit weird to use one that’s dry. I’m not aware of any other sheet mask on the market that isn’t dripping in serum so it’s amazing that this achieves anything, considering there’s no liquid product. It promises the results of a facial in 15 minutes and to brighten, lift, hydrate and reduce lines (yasss). The mask is described as a “bio-mimetic revolutionary system that gives a prolonged release of the ingredients”. 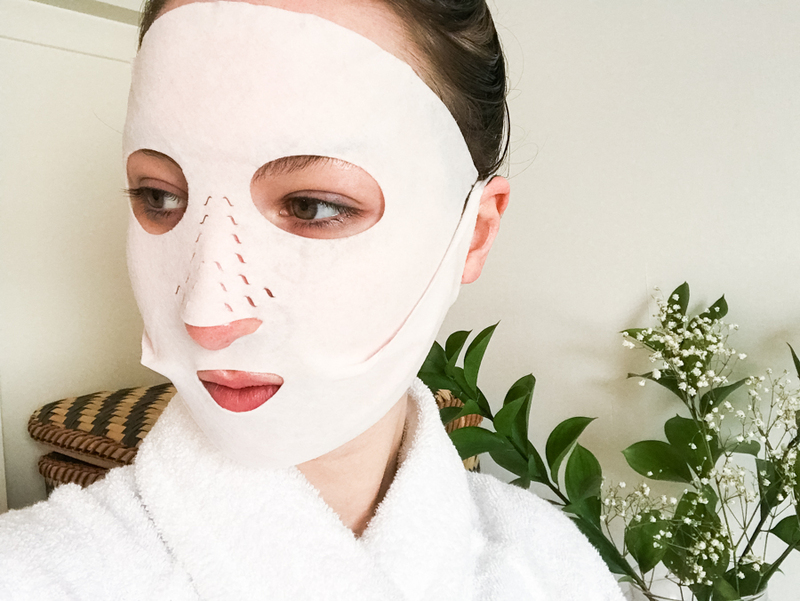 Apparently the serum in wet sheet masks will evaporate off your skin after 45 minutes so by being dry it prolongs the effects for up to 8 hours. It also doesn’t harbour bacteria so you can use it up to 3 times, which is good news considering it costs £18! The sheet is quite thick too, far thicker than other ones I’ve tried and you can feel a dry residue on the side that you place on your face. The best thing is that it fits really well and the hooks around your ears help to keep it taught across your face so you get the most of the mask. Certainly worth look like Hannibal Lecter for! It really does give you a moisturised, fresh and plumped finish. The fine lines on my forehead disappeared which was so exciting and overall I looked more dewy and well rested. It’s strange because while it’s on it doesn’t feel like it’s doing anything. With the other mask I use, like the Garnier Moisture Bomb, the coolness of the sheet makes it feel like it’s actively working but this one is nothing like that and yet delivers even better results. It gives a glow rather than a heavily moisturised finish and I felt my skin was better prepped to apply makeup than if it was saturated in product . Even while I’m writing this I put the mask on 2 hours ago to take a picture and my skin still looks amazing. I think this is a perfect product for a special occasion or for when you need to really perk up your skin. Ooh this sounds amazing! So weird that it’s a dry mask, but I like the fact you can use it more than once because it is on the pricier side. Great review, I love you photos.